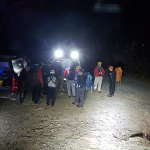 Coquitlam Search and Rescue is a registered charitable society. We rely on the support of our community to provide search and rescue services to the Province of British Columbia. 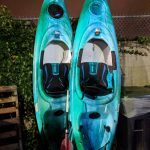 Our team secures funding for training, gear acquisition, upgrades, replacement, and maintenance through grants and donations. 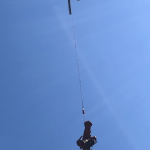 Coquitlam SAR is constantly working to improve its training and equipment resources. Rescue equipment is generally expensive and subject to severe wear and tear. We welcome contributions from the community, both individuals and corporations. Coquitlam SAR has partnered with CanadaHelps.org , a non-profit charity portal that promotes charities through online giving. We have also established a fund with The Coquitlam Foundation with the purpose of creating a long term endowment for the society. All you have to do is click the “Donate Now” button, and it will take you to the CanadaHelps.org Charity Portal for Coquitlam SAR. Once there, you can follow the instructions. All information provided to CanadaHelps.org is confidential and is securely protected using the same level of security used by Banks and other financial institutions. Your information is never sold, and your identity is only revealed (if requested) to the charity you donate to. Yes, if you check the appropriate box when entering your information in the charity portal, the donation will be made anonymously. Donations made through the CanadaHelps.org portal are treated exactly the same as charitable donations. The Canadian Customs and Revenue Agency (CCRA) has approved the use of electronic tax receipts. Once a donation is made through the portal, a receipt is emailed to you confirming the transaction. The receipt will state that the donation has been made to CanadaHelps.org. The funds will be directed to Coquitlam SAR. The Coquitlam Search and Rescue Endowment Fund was initiated in 2003 and is managed by the Coquitlam Foundation. The intent of this fund is to provide a stable long-term financial base for future equipment and training needs. We are continually replacing or upgrading equipment and improving our team’s training standards. If you or your organization can help, please contact us directly if you can support us in this way. 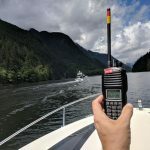 Search and Rescue Teams in the Lower Mainland DO NOT solicit for funds over the telephone. If you get a phone call asking for a donation, it is not from an active SAR Group in the Greater Vancouver Area (Pemberton to Hope). If you want to make a donation to the SAR Group in your area, please contact them directly.